Sometimes this blog is heavy on the craft chat, sometimes chit chat, and sometimes book chat. 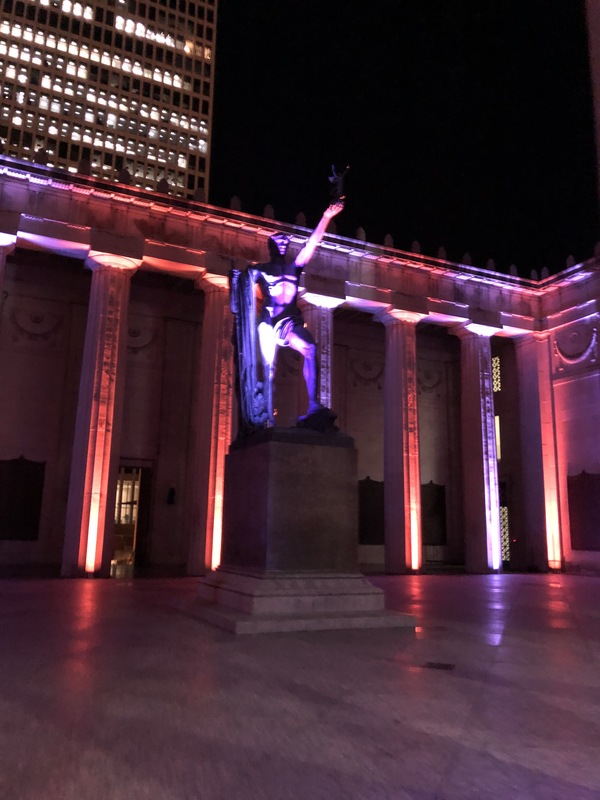 I consider it a lucky week when I get to go to not one but TWO book-related ventures, both at the War Memoirial pavilion near the Nashville Public Library. I’m a big fan of John Green’s books, from The Fault in Our Stars to Looking for Alaska to An Abundance of Katherines (links go to my reviews). I’m less familiar with all the extra stuff he’s been doing in the past few years since his last book – the educational Youtube channel, the web series like The Lizzie Bennet Diaries (a modern retelling of Pride and Prejudice), the movies (I liked TFIOS though! ), shenanigans with his brother Hank, etc. 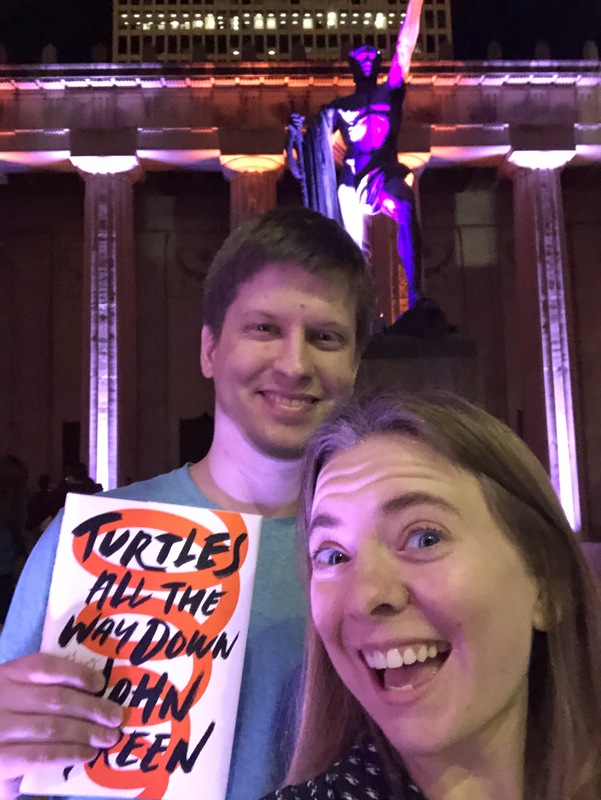 – but I tuned back in when I heard that he was finally releasing a new book, Turtles All the Way Down. It’s a big deal since it’s been several years since his last book, and it follows a character that deals with some of the experiences with mental illness that John Green has shared from his own life. 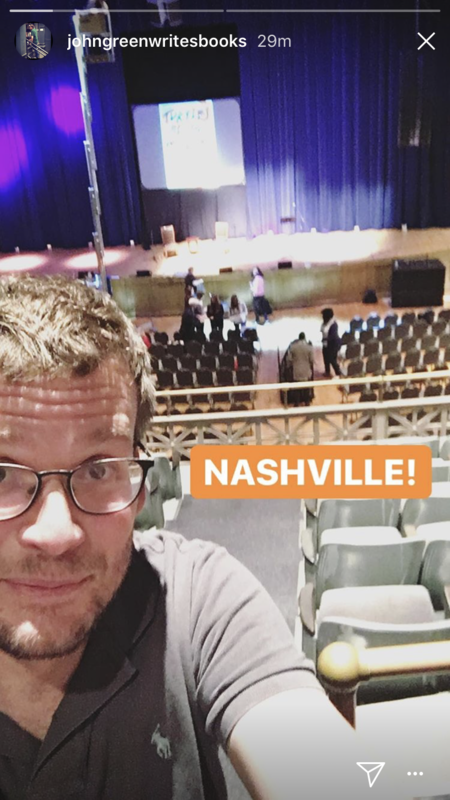 When I found out that his book tour was stopping in Nashville, I bought two tickets without a second thought. 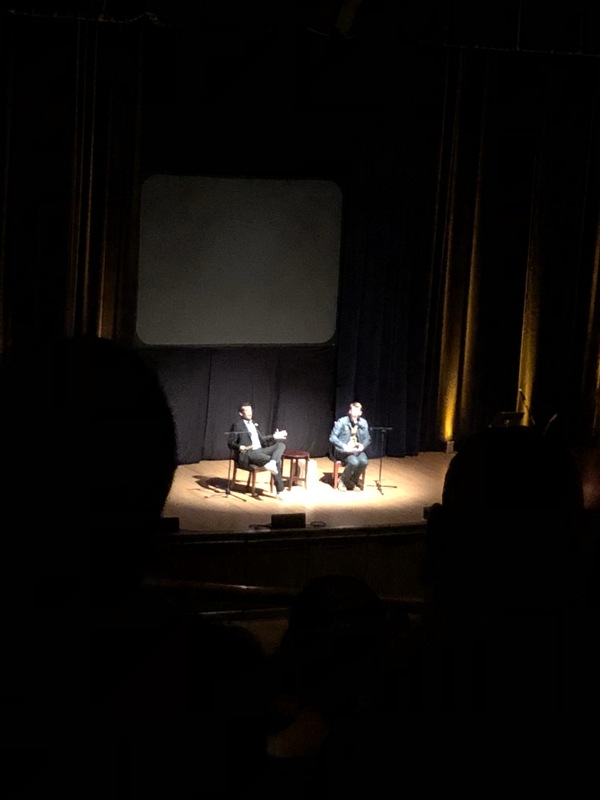 The show started with an excerpt from the new book, and went back and forth between solo readings by John Green to Q&A sessions with his brother Hank to weird bits by Mr. Turtleman about taxonomy to Hank playing guitar and singing songs ranging from love songs about parasitic fish to Smash Mouth’s All Star. You just had to be there, I guess, but it was a lot of fun. At the very end, John Green gave a eulogy for a friend of his, and told a story about WWI soldiers singing “We’re here because we’re here because we’re here” to the tune of Auld Lang Syne; they were singing about the pointlessness of war and the hell of life in the trenches, but he pointed out (much more eloquently than I am now) that his friend helped him recognize that the same words can also describe the randomness that brings us all together as humans. The whole audience sang together: We’re here because we’re here… because we’re here, because we’re here. I don’t know, maybe you had to be there. But it was a good moment. I came home with a signed book, but mostly gratitude to experience a moment like that.